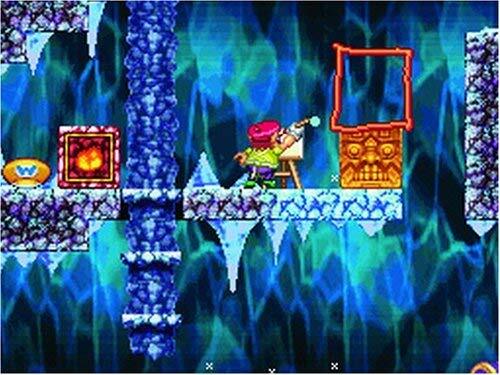 The Wario Land series is a strange beast – and a consistently excellent one, at that. A strong departure from the mainline Mario entries, the Wario Land games have always focused less on careful platforming and more on puzzle solving. Each entry in the series has been met with some level of positivity from fans and critics alike, with one notable exception: Wario: Master of Disguise. In fact, it could be argued that this entry, despite having many similarities to its core series, is not a member of the Wario Land series family in the first place because it does not bear the same title, and features many departures from the core gameplay of the series. With the power of hindsight, we can look back on this title and see what makes it such an oddity, and see if it is worth playing at all today. Released for the Nintendo DS in 2007, Wario: Master of Disguise brought the character’s first outing to the system that wasn’t related to WarioWare. The premise revolves around Wario stealing the magic wand of a television star that allows him to transform into various disguises with different abilities. 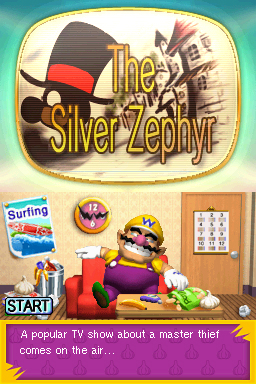 The way in which Wario receives this wand is morally debatable: He straight-up steals it from the owner, a television-star thief known as the Silver Zephyr. It’s pretty easy to look at this game as Wario taking the role of the antagonist. He’s really just a bully to the Silver Zephyr throughout the entire game for no good reason, and is entirely motivated by his quest for money and fame. Of course, we don’t play Wario games in order to receive moral lessons, so this is forgivable. Wario’s actions are played off for comedic value, as opposed to being given any actual seriousness. In a way, it’s interesting to have a game in which you play as a completely unredeemable villain. In order to find humor in Wario’s douchery, you’ll need to take on his perspective, otherwise you might find yourself feeling bad for the supposed villain of the game. It’s unfortunate but must be noted all the same: Wario dabs in this game. At its core, Master of Disguise is a puzzle-platformer, with strong elements of Metroidvania. There’s plenty of exploring maps, defeating enemies, solving puzzles, and collecting of new abilities that allow Wario to traverse his surroundings more fully. There is something inherently fun about the Metroidvania-style of gameplay that this game serves up. Continuously exploring the mazelike environments always has a certain appeal to it. The environments themselves are pretty much the standard “video game levels”: you’ve got your ancient temple world, ice world, forest world, etc. But they’re all done with enough unique style through the enemies and small environmental details that prevent them from feeling boring. There are plenty of clever little puzzles to be found, and the game keeps things interesting by periodically introducing a new obstacle to overcome or ability for Wario to possess. Not only the exploration, but the action of taking down enemies through various means such as a laser gun or fire breath also feels great. The problem, however, comes from its implementation; the environments soon become larger with each passing level, and there simply isn’t enough variety within them to make this level size feel worthwhile. Still, at the fundamental level, Master of Disguise is designed well-enough to be considered a decent Metroidvania. One of the most noteworthy errors that Master of Disguise is known for is its reliance on minigames, which must be performed every time Wario opens a chest to receive a collectible or power-up. In order to receive its contents, he must complete one of five challenges. On paper, it’s not a terrible idea; that is, until it’s implemented with incredibly bland minigames. These thirty-second-long interludes serve no other purpose other than to break the flow of gameplay, and pad out the total play time with unnecessary stylus-tapping. Sometimes you’ll be tracing a picture while making sure you don’t draw on top of a moving laser, and other times you’ll be solving a light water pipe puzzle, and they get repetitive fast. All of the five games involve the stylus in some way, and unfortunately, this is a prime example of the DS’ touch screen being used for the sake of a forgettable gimmick. It’s easily the most glaring issue with this title, and its existence alone is something that could cause previous Wario Land fans to stop paying attention to anything else the game does right. The minigames themselves aren’t bad but they pop up with such frequency that it becomes a problem. Unfortunately, it feels like the developers could have just nixed this minigame requirement for opening chests altogether, and just allowed Wario to instantly obtain what is inside. Another aspect of the game that is often criticized is its reliance on touch controls in order to change Wario’s disguises, which offer him different abilities to fight enemies and traverse different areas. These disguises each have a simple drawing that must be scribbled on Wario in order to transform him, such as a small triangle being drawn as a dragon tail in order to turn him into Dragon Wario, or a circle being drawn on his head to turn him into the astronaut Cosmic Wario. One such disguise even has Wario drawing blocks that appear out of thin air that can be used for climbing hard-to-reach areas, or drawing a door in order to return to the latest checkpoint. Again, on paper, it’s not a terrible idea. Depending on who you ask, these controls are either passable or downright impossible due to being too finicky with the drawings. The controls do work as they are supposed to; they just require the player to be okay with a certain amount of drawing with their platforming. Though it’s not hard to see why these forced drawing controls might feel unnecessary. The transforming of disguises could have been handled with a simple button press on the bottom screen, and nothing more. The drawing of boxes could have been relegated to a single tap of the screen. Instead, we’re stuck with a control scheme that is certainly unique, but ends up making the focus on rapid drawing when platforming and action deserve more attention. In the visual department, what’s here is done well, but there just isn’t enough of it. The colorful sprite graphics are fun to look at, even if they are are a bit on the simple side. Unfortunately, the visuals grow repetitive very fast – once you’ve seen the beginning of a Master of Disguise level, you’ve basically seen the bulk of what the level has to offer in the visual department. Even still, this is far from an ugly game, and the spritework has plenty of character within it. The exaggerated, cartoony style of the game’s many strange characters are always entertaining to look at. There certainly is an element of randomness to the game’s enemies, ranging from flying evil silverware to dolphins with afros. The personality here is really what makes the game shine. The same can be said for the game’s soundtrack. For all of its flaws, the sheer wackiness within the game’s presentation is enough to warrant a good amount of credit. After all, this is a Wario game, and Master of Disguise certainly knows it. At the end of the day, Wario: Master of Disguise does a lot right, and is marred by a few glaring gameplay flaws that make unnecessary use of the DS’ touch screen. If these flaws hadn’t been present at the time of release, it’s safe to say that things would have turned out a bit differently for this game from a critical perspective. Although, we must remember that this was 2007, and every DS developer was dying to make use of the system’s touch screen – even if this meant a few completely forced mechanics. Still, at its core, it’s an enjoyable Metroidvania that knows not to take itself too seriously, and is worth checking out if you’re willing to tolerate a few unnecessary quirks. It might lack the usual Nintendo polish, but Master of Disguise doesn’t deserve to be lost to history.